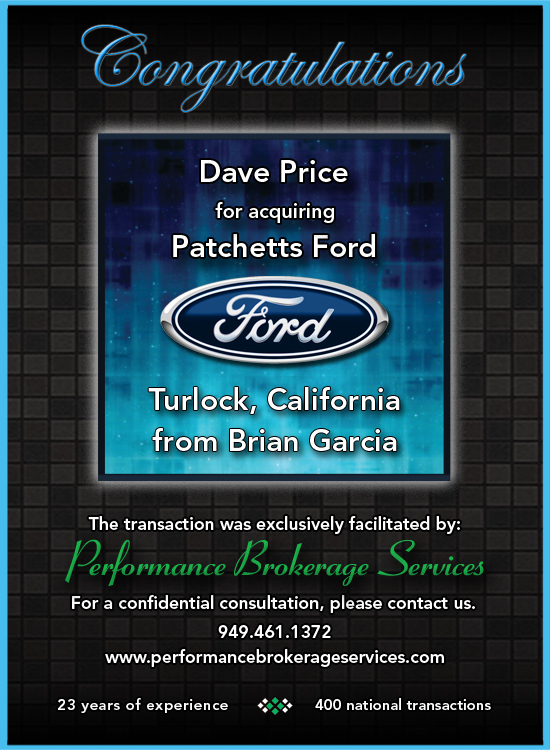 Mr. David Price acquired Patchetts Ford of Turlock, California from Mr. Brian Garcia and family after over 50 years of ownership. We thank Brian for the opportunity to be of service to him and wish David tremendous success with his purchase. This transaction was exclusively facilitated by Performance Brokerage Services.